aa4ga-dot-com: "Want to Buy" Scammers on QRZ, QTH, eHam, etc. 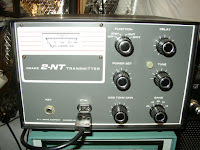 "Want to Buy" Scammers on QRZ, QTH, eHam, etc. Here's a timeline of the answers to my WTB ad. 12/10/15 - WTB ad placed. 12/11/15 - Received email from "Larry T. Williams <larrytwb4nadATgmail.com>" - this was my first response, and after an exchange of info and such, a deal was struck. I had done a bit of looking around via Google and it appeared that "Larry" was legit. He asked for payment via PayPal friends/family, and I said I'd send it as a purchase and add in an amount for the fees...to which he said no, just send friends and family. This was a red flag, but stupidly, I chose to ignore it, and sent him 120 bucks via PayPal friends/family...still feeling uneasy. Right after I sent the PayPal, I remembered Google's reverse image search, uploaded the 2-NT photo, and was rewarded with the info that the photo was from an eBay auction back in March of 2015 that didn't appear to involve "Larry" - plus the eBay description and the one "Larry" gave didn't quite jive. So, less than 10 minutes after I sent "Larry" the money, I logged back into PayPal and discovered that "Larry" hadn't yet claimed the money, and I was able to cancel the transaction - that was close! A little more digging revealed that someone had been using WB4NAD's identity to scam via the ham boards. I sent "Larry" a message that something had happened with my PayPal account and the transaction didn't go through. He made no offer of alternative payment methods. 12/11/15 - Received email from "Douglas P. Orr <douglaspw6tyATgmail.com>" - I told him I'd already made a deal on a 2-NT and would get back to him if it fell through. I called the real W6TY and he assured me that the email wasn't from him - we had a nice brief chat - he's been off the air for a number of years. 12/18/15 - Received email from "Carl F. Groner <carlw2tzATgmail.com>" - hang on, this is where it starts to get confusing! "Carl" sent an email that included a description that was a direct quote from a QRZ ad from 10/7/15 by K0JY stating “As you can see in the one photo it was putting out 80 watts on 40 meters.” Funny, there was no photo showing this. He said the price was $220. Also funny was that he said “I have just used it very sparingly and on crystal control”. Funny because here is the 2-NT plainly sitting on top of an HG-10 VFO, and there is a wire coming out of the crystal socket! 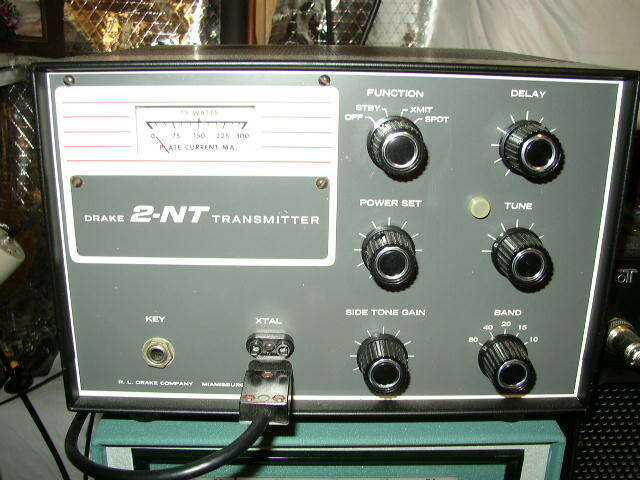 In a later email, he mentioned that he had a 2-C as well and sent a photo of it and a 2-NT. The photo of the 2-NT alone (with the HG-10 VFO) is from AB0CW's qsl.net page depicting a 2-B, 2-BQ, and 2-NT with an HG-10 VFO. The photo of the 2-C/2-NT pair is from an eHam ad by VE3AZQ dated 5/11/10. I asked the price of the 2-C and was told “price of the 2-NT is $112. i can sell both for $400, and it will be shipped to your doorstep.” - wow, that's about half the original asking price for the 2-NT! 1/2/16 - Received email from "John P. Chwalek <johnk2iwATgmail.com>" - the offer here was to sell me a 2-C. The description was a direct quote of an ad by K0JY from 11/3/15. 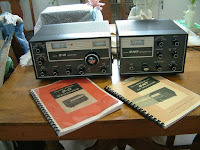 This is the same RX K0JY had listed in his 10/7 ad. And the photos are also from the K0JY ads. So, I mentioned to "John" that I was really just interested in a 2-NT, and he responded that he had a friend with one for sale: W2TY, whose email address was alanw2tyATgmail.com. 1/2/16 - Received an email from "Aaron Aragon <aarounkj4vhsATgmail.com>" offering a 2-NT. When asked for photos, he responded that he had a 2-C and a 2-NT, and sent the same photo from VE3AZQ that was sent earlier by "W2TZ". 1/2/16 - Received an email from "Alan J. Gottesman <alanw2tyATgmail.com>" offering a 2-NT. This was the same description that "W2TZ" had given me earlier, and the photos were again from K0JY. So, I'm not sure if there are a lot of scammers out there or just one. As you can tell, there is a lot of similarity in the email addresses. They are all first name, followed by callsign and are gmail.com addresses - several also strangely include the middle initial. Also, not plain in the descriptions above, but the language often just isn't "right". Again, not 100%, but more often than one would expect, the emails close with "73's", not "73". Once, maybe...but not as often as I saw it here. In each and every case, PayPal was the only accepted form of payment - not even money orders, presumably because of the address discrepancy with QRZ and/or the ability to track down the scammers via a physical address. Make no mistake about it, WB4NAD, W6TY, W2TZ, AB0CW, VE3AZQ, K2IW, W2TY, KJ4VHS, and W2TY are all victims here. Their identities have been hi-jacked. I have seen nothing that indicates any of these folks are scammers, and have either spoken with, corresponded with, or otherwise seen indications that they are victims here. So the bottom line is - do be careful. Do speak with the seller on the phone. Do not use PayPal without buyer protection. Do check to see if the seller has an email address on his QRZ page. Etc. I realize that this scammer(s) may get tipped off that his MO is pretty consistent and obvious. If so, he may change his tactics a bit. Just be very careful. I got very lucky - I hope you don't get burned.